Dreaming of a white Christmas? 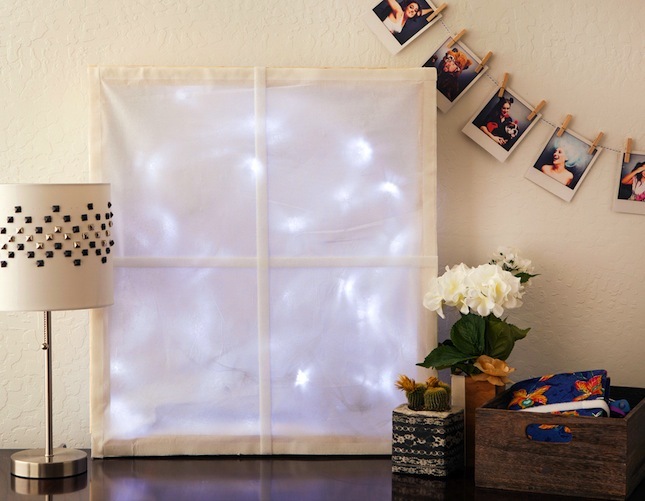 Maybe you’ve got a windowless wall that could use a little love? 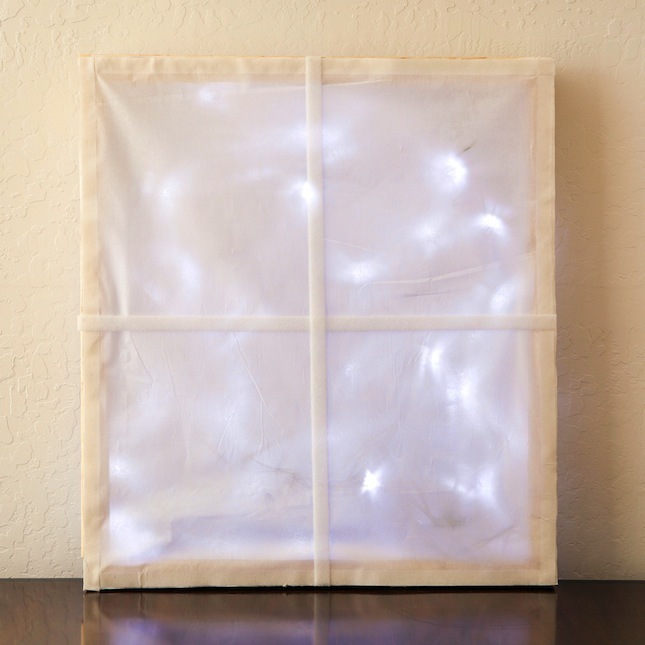 We’ve partnered up with Velcro Industries and The Home Depot ® to create a wintery illuminated window, perfect for bringing a little magic into your holiday decor. Read on to see how it’s done. 1. Gather your materials. Cut your 2×4 into 4 24-inch sections. Usually, someone at The Home Depot ® can do this for you! 4. 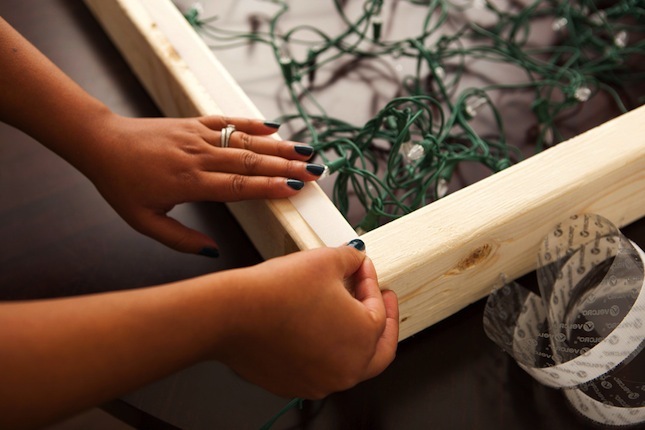 Make sure your lights are evenly spread throughout the frame. 5. 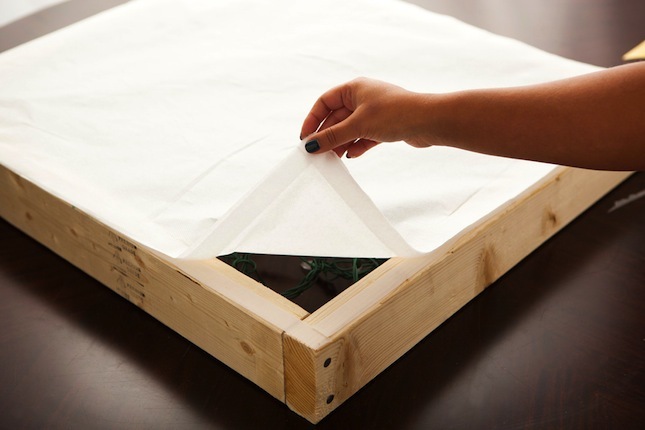 Cut a 27×24-inch piece from your roll of Caprice sheer paper. 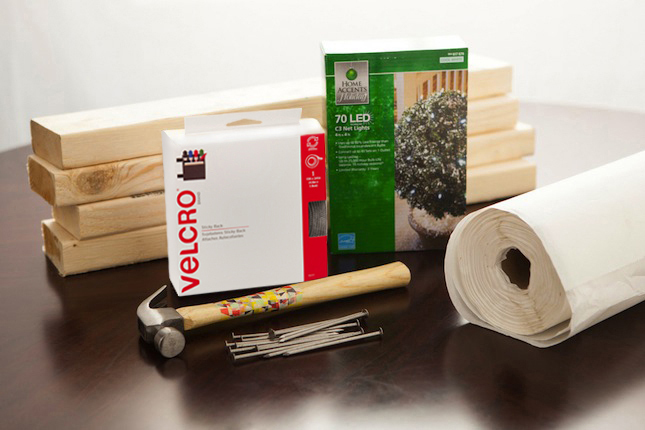 Cut your VELCRO® Brand Sticky Back White Tape into 2 24-inch pieces and 2 27-inch pieces. 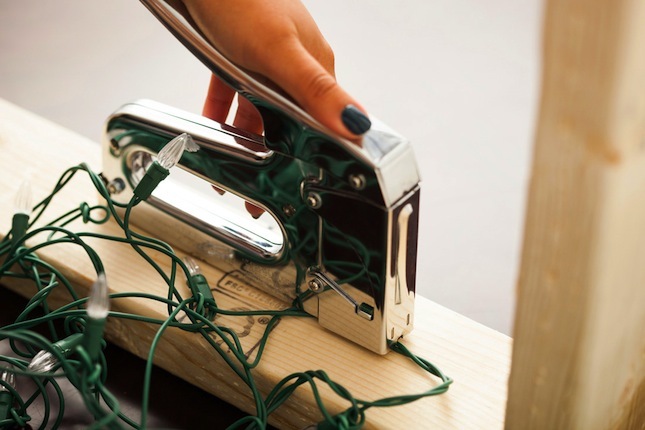 Stick the loop side (aka the “soft” side) of your tape onto all four edges of the paper. 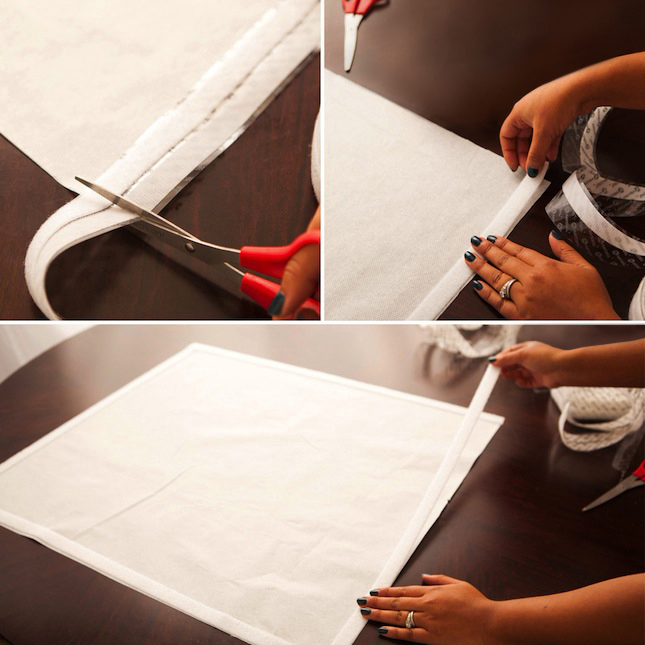 Trim off any overlapping tape. 6. 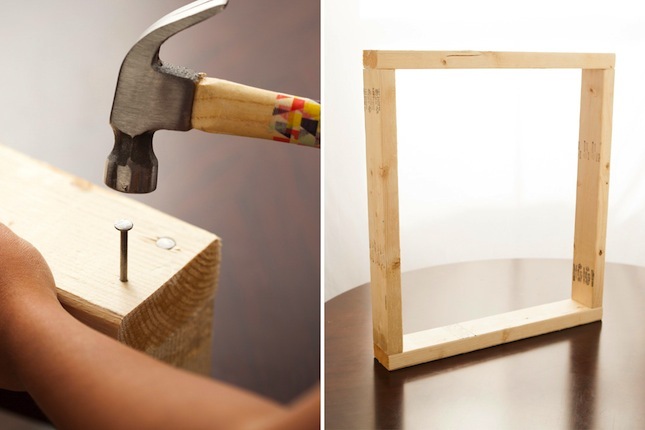 Stick the hook side (aka the “hard” side) of your tape onto all four edges of your wooden frame. 7. Attach the paper to your frame. 8. Now, it’s time to add some window panes. 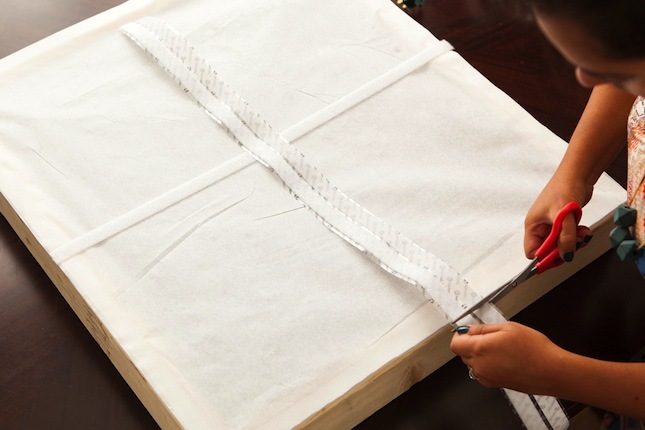 Cut a piece of VELCRO® Brand Sticky Back White Tape that is 24 inches, and another that is 27 inches. 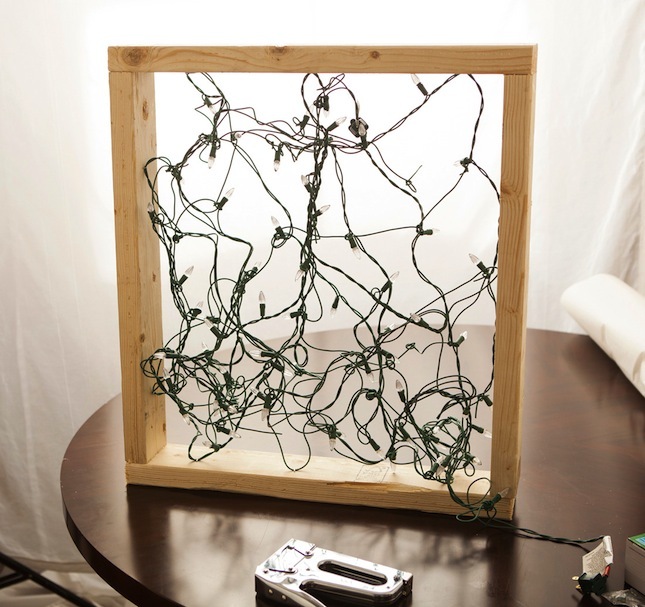 Use a ruler to find the midpoint of your window, and attach your panes to create 4 window sections.